Enough of politics. Two posts on politics is too much on politics. I’d like my blog to be about the more meaningful things in life (and politics just isn’t one of them, imho). So, let’s talk about coffee. I take coffee extremely seriously. (This is where you automatically recall that time you went to that amazing café in Bangkok, and make a mental note to write me about it. You have my thanks in advance.) First, a word of warning: as wonderful as coffee can be, it is an addictive substance. There can always be too much of a good thing. I myself was once known to consume at least four coffees a day and to sleep soundly after an 11pm latte. Then, thankfully, I decided it was too much and – after some frustrated months of headaches and general moodiness – I managed to cut my caffeine consumption down to respectable levels (in my opinion at least). Now, I was never big on coffee prior to my hiatus from Thai life (I lived in the UK for six rainy years. Oh, and I was born in Thailand. See? I told you it wouldn’t take long for me to spill all re: my origin.). Ironically, it is in a nation of tea drinkers that I discovered my love for coffee. And by coffee, I mean coffee, not the diluted, sickeningly sweet, crushed-ice-adorned beverage often referred to in Thailand as ‘coffee’. I do not claim to have a barista’s knowledge or an authoritative voice on coffee, but I do believe I’ve tasted enough coffee in enough cities to be able to give my extremely biased opinion on the matter. Freedom of expression and all that jazz. 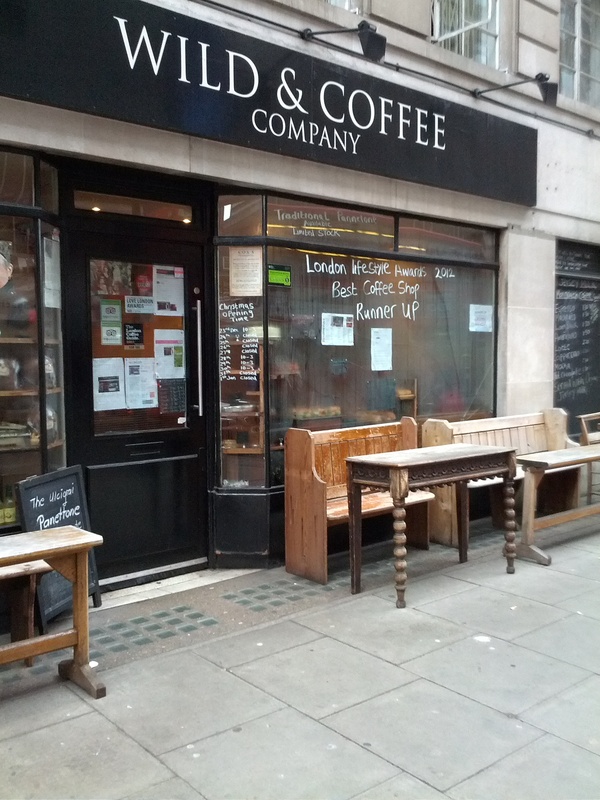 My favourite café in London. Hands down. By far. It’s on New Oxford Street. As opposed to the over-crowded, famous Oxford Street, which boasts of no coffee place worthy of mention, IMHO. A macchiato at Wild & Coffee. Perfectly-heated milk, the coffee crisp and strong, quietly efficient staff, long communal wooden benches, lingering aroma of cakes and other baked deliciousness. What’s not to like? What kind of coffee do you like? 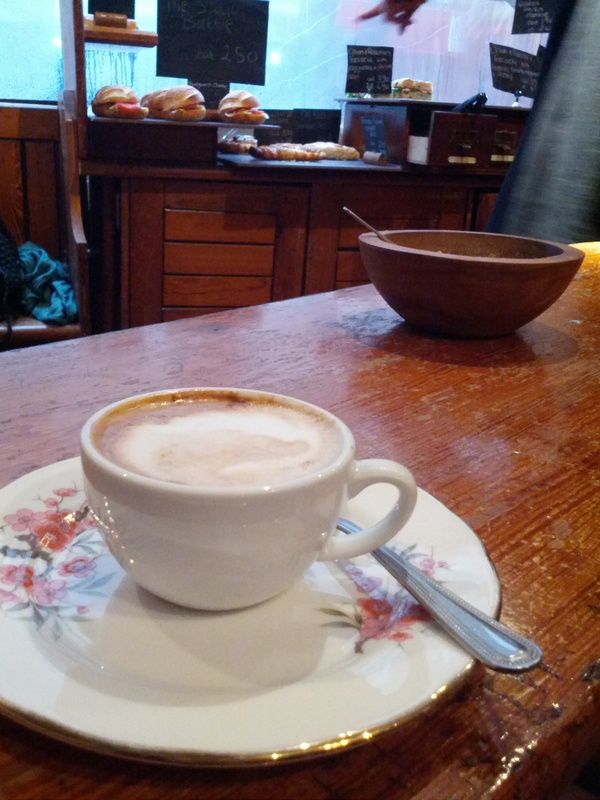 My favourite – a macchiato. You don’t really see it much in Thailand, and I often use this as a test for ‘good’ cafés. When trying out a new place, I order a macchiato. And if the ‘barista’ doesn’t know how to make it, I don’t go back. A macchiato is an espresso with a dopple of foamed milk on top – I repeat, foamed milk, not milk. Does it matter which is which? Oh yes, it does. Well, it’d better. During my wannabe-barista days in Paris (yes, I lived there too), I once had a macchiato returned by a frustrated French client who insisted my dopple of milk wasn’t foamy enough. But, in all seriousness, it does matter. The reason I prefer a macchiato to other kinds of coffee? First, you get the taste of the coffee very distinctly. Second, it’s not too big (as opposed to an americano that has your bladder bursting at the seams) so you don’t have to suffer through it if the coffee turns out to be below average (as, sadly, it often does). Fourth, the foamed milk bit is the perfect test of a capable barista – of which I’m apparently not one. Having lived in Paris for a time, I’m extremely nostalgic for French coffee. Attention all Italian coffee enthusiasts, I’m not claiming superiority of French over Italian coffee – I would not dare. 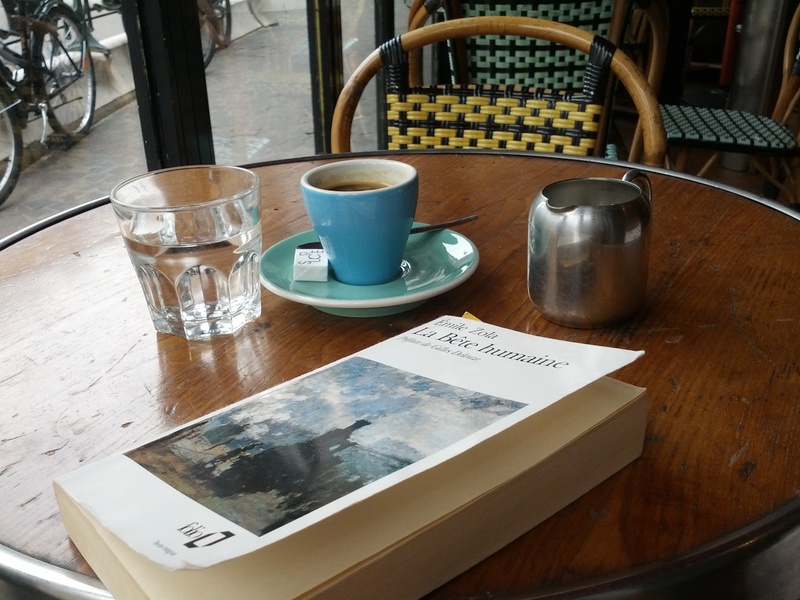 I must admit, though, I do miss the French café scene – sitting on the pavement, sipping a café allongé (espresso with a dash of water to dilute it the teeniest bit), reading Sartre (how pretentious of me), and breathing in all that cigarette smoke. There’s nothing quite like it. If anyone has been to a café that offers the same feel in Bangkok, do drop me a quick word – I’d be extremely grateful. Reading Zola in a café in Central Paris (was it Rive Gauche or Rive Droite? I can never get it right.) while waiting for a friend. This is what instantly comes to mind when I think of Paris. A rare specimen of a moment perfectly captured on camera. So, that’s my take on coffee. Any thoughts? What’s your favourite coffee and why? Do let me know. We can maybe go grab a coffee sometimes. I almost forgot. Here’s how you tell me more about the Bangkok café scene!